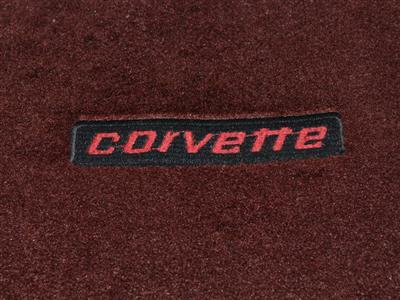 The embroidered Corvette logo background will either be red or black. The letters will match the color of the carpet ordered. 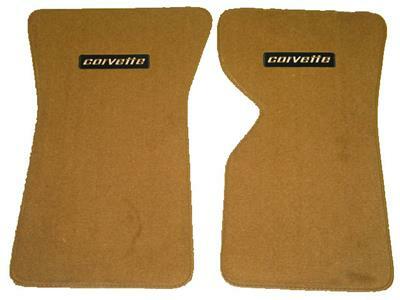 Black floor mats have a red background. NOTE: Allow an extra 10 business days for delivery on embroidered items. 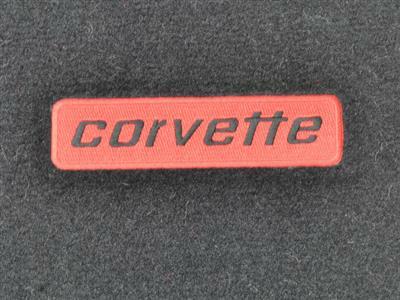 The embroidered Corvette logo background will either be red or black. The letters will match the color of the carpet ordered. Black floor mats have a red background. NOTE: Allow an extra 10 business days for delivery on embroidered items.